While governments obfuscate the provision of essential services behind pages upon pages of data, real or fudged, a service was launched to empower those directly affected by the lack of services. Alif Ailaan, an education campaign which has been working for the last five years to make sure that Pakistan’s leaders understand the urgency of the education crisis, launched on Wednesday “Taleem Do!”, a citizen reporting application and an online platform in Islamabad. “Every Pakistani child deserves to be in school, and have a quality education. 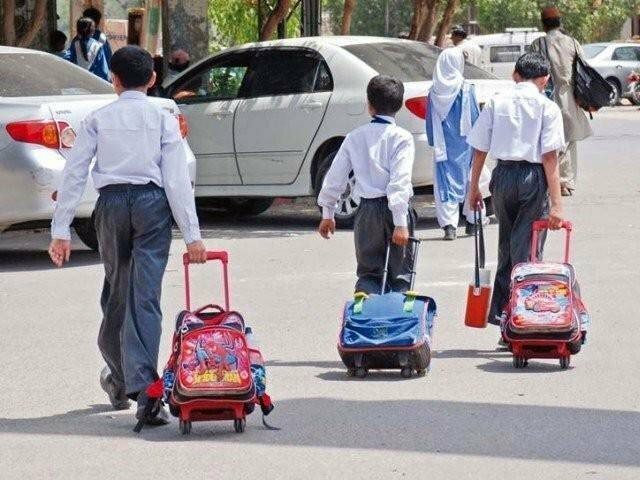 Do government schools provide that chance to every Pakistani child?” asked Alif Ailaan’s campaign director Mosharraf Zaidi during the launch of the application. “Voice of the people of Pakistan can change this,” he stressed. Talking about the vision behind the app, Alif Ailaan’s Head of Digital Media Imran Ghazali said that they had developed the app “to enable and empower the citizens. Published in The Express Tribune, May 24th, 2018.